Eyeliner for Brown Eyes: Colors, Techniques, and More. A brown-eyed girl may consider herself lucky: her beautiful iris may be easily emphasized with plenty of eyeliner colors for brown eyes! And that is because brown is a warm, neutral color, made of all primary colors put together. So, when trying to decide what are the best eyeliner colors for brown eyes, all you have to do is keep in mind the effect you want to get: is it dramatic, or maybe playful? 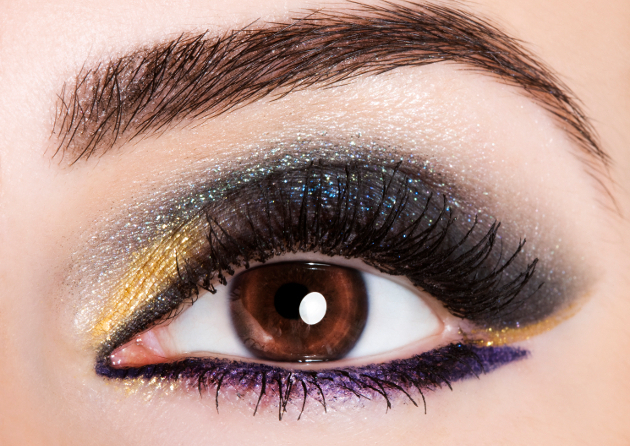 Some of the best eyeliner colors for brown eyes include blue, green, purple, black, brown, and gray. Go for warm shades of brown - golden, bronze, taupe - for a soft brown eye makeup, while choosing eyeliners in cooler hues - turquoise, metallic grey, metallic purple, electric blue - if you dare to pull off a dramatic makeup for brown eyes. If you're a newbie when it comes to intricate makeup, you're most definitely wondering how to apply eyeliner. While you may have the liquid eyeliner in mind, you should start with either a pencil eyeliner or a cake one that must be applied with a brush. When going for a pencil or kohl eyeliner, start by making sure that the elbow of the arm you're using is firmly set on a hard surface. Then lightly pull the outer corner of your eyelid so that you're able to draw a straight line. Make sure you draw it as close to the lash line as possible. Repeat the process until you get the desired thickness. 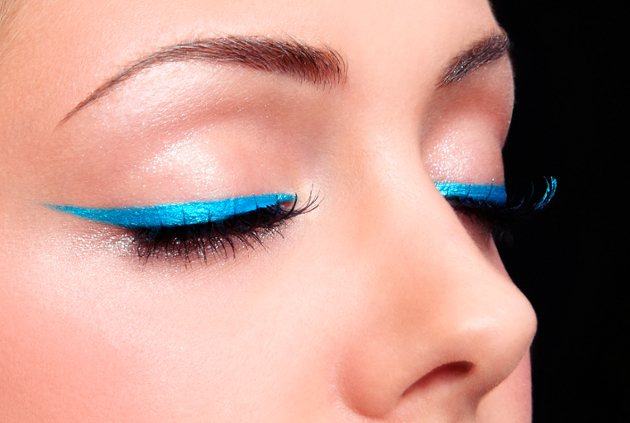 If you went for a mineral eyeliner, then use an angled eyeliner brush to apply it to your eyelids. Making sure it's damp, load your brush with mineral eyeliner. Pull the outer edge of your eyelid and apply the eyeliner on the lash line. 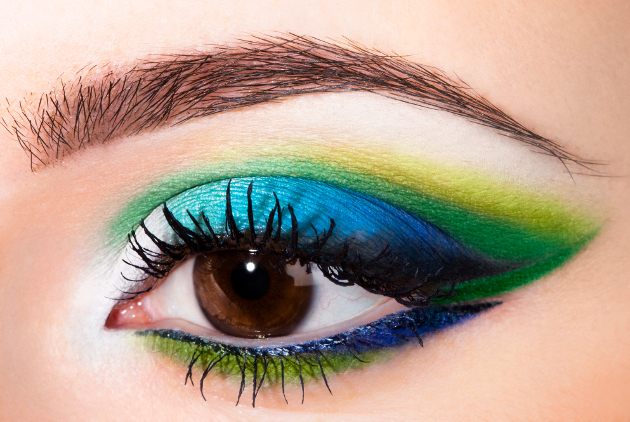 It's best to start at the outer edge of the eyelid, because it's there where you'll want to deposit the most product. Press it gently on your lash line as you go towards the inner edge of your eyelid. Looking for some more eyeliner makeup tips for brown eyes? Then you should know that, for instance, especially if you lack practice at applying eyeliner, it's best that you go for a smudged look. This type of eye makeup doesn't require a lot of precision and skill, but still manages to look amazing! Regardless of the eyeliner color for brown eyes you decide to choose, you might want to keep in mind the fact that a pencil eyeliner or wet eyeshadow is one of the best options to wear on your lower eyelid.